My journey to get my beer mug at my local bar is not an easy one. There are times that I have to go down paths I’d rather not. I will not lie; last night was one of those times. About two trips ago I had decided that I was better off drinking things that were similar in taste. Mixing stouts, ipas, lagers, and etc was starting to churn my guts. My friendly neighborhood bartender thought it would be funny to set me down the path of the sweet drinks. 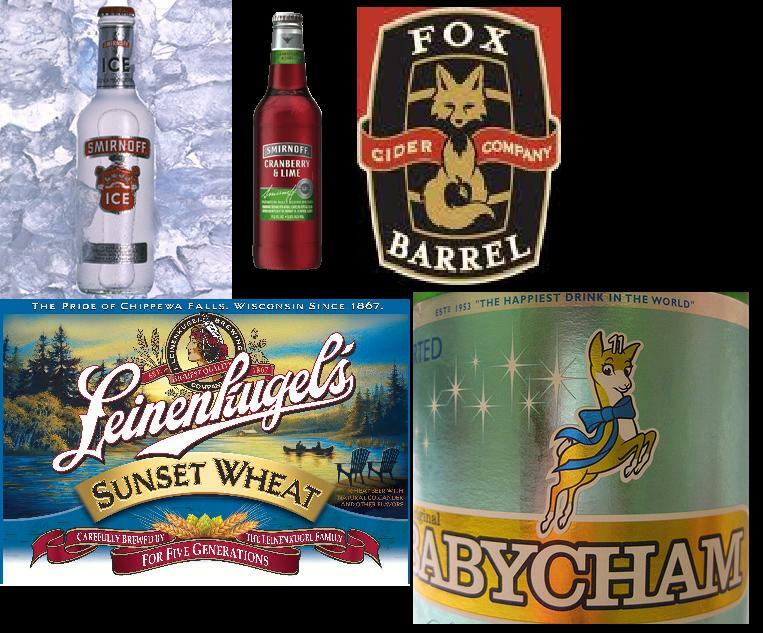 So here are the sweet, sweet “beers” of the week. 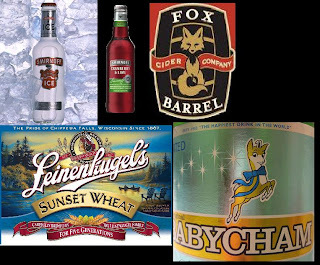 Smirnoff Ice, Smirnoff Cranberry & Lime, Fox Barrel cider, Leinenliugel’s Sunset Wheat, Babycham, and a Tangerine beer that I forgot to put the name of in my phone. So you’ll get an update on that one next week. That will count for beers 61-66! After all that sweetness I broke down and had a couple of Guinness. All that sugary stuff is not helping my head this morning. But I do think the drinking of similar things is helpful. I also may have called a bunch of people at like 11pm last night. Really it seemed like a good idea at the time. At least I was thinking of you right? Also, have you heard the Twisted Tea commercial with the girl with the nice scratchy voice? She wants to sound all tough so someone in the commercial calls her baby and she replies with something along the lines of “I’m not your baby”. The staged tough/sassy talk is so annoying, even with her Pal Mal voice. Then later in the commercial a lady says, “My husband calls it his Man Tea.” WTF?!? I hate that freaking commercial.